Cartoonist and author Scott McCloud keeps on giving to the world of definitions. This cartoon trail provides an interesting perspective into how definition can evolve. It illustrates a Type 2 definition improvement (change in application) and as Scott says, "It’s as simple as B – C – A." (28 Panels) Other definitions: gradualism, distance pacing, narrative subdivision, window and page. First in a series of cartoons exploring topics in Open4Definition. Published July 19, 2008. 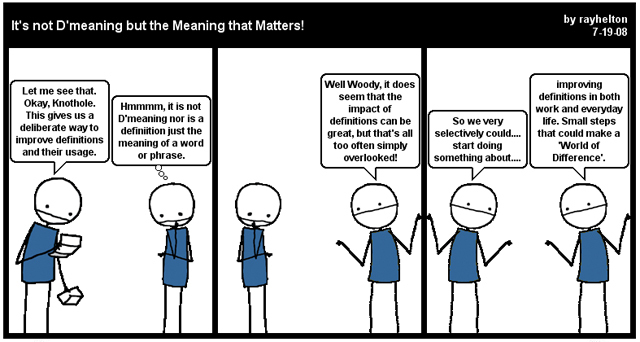 Second cartoon in series exploring topics in Open4Definition. 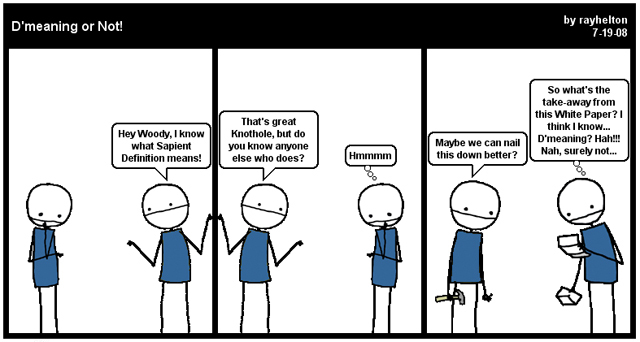 Published July 19, 2008.